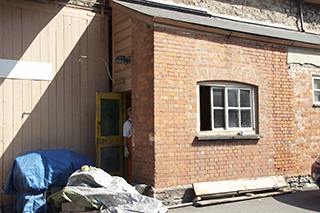 The SDR Trust Board has been aware for some time that facilities for Carriage and Wagon work at Buckfastleigh need to be upgraded. 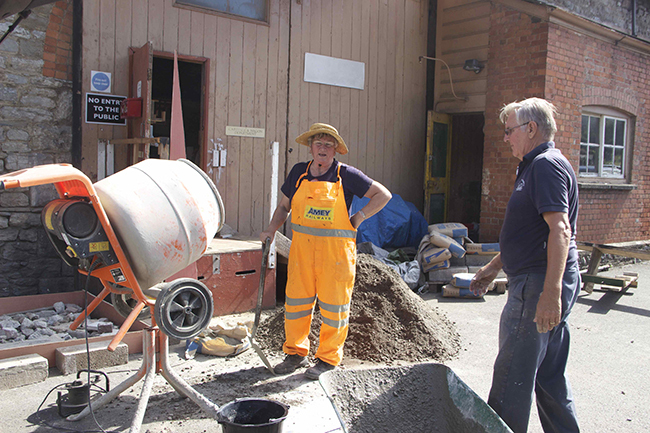 Located in part of the former goods shed staff and volunteers have had to cope with less-than-ideal conditions, and this makes it more difficult to continue working in the middle of winter. As part of a planned upgrade to the facilities a new heating system is being installed, which will both make conditions better for the staff and volunteers, and also improve their ability to do certain jobs such as painting. 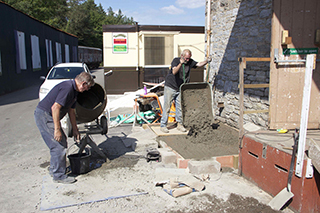 The photos show work in progress to construct the foundations for a heating oil tank, with Mike Smoker and Ruth Keohane mixing concrete, and Dave Watkin, one of the C&W staff, helping pour the concrete. SDRT Museum volunteers, located in the other part of the building, are hoping that the heating can be extended into the museum as well! 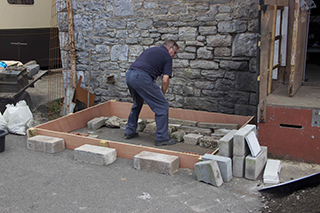 Another aspect of the work in progress is the creation of an office for Carriage & Wagon foreman Mike Harris. 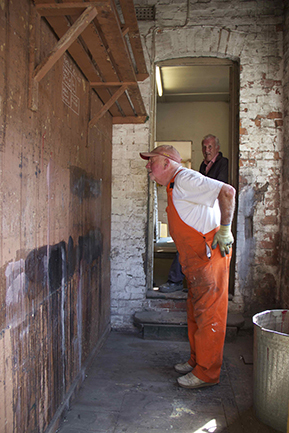 This will be in the former weighbridge office, where the sliding window opened for the first time in very many years, and some original 1950s graffiti was revealed. 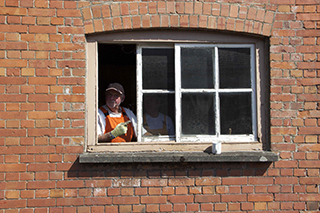 The photos show the exterior of the office - one of the red brick lean-to structures by the goods shed, and master painter and decorator Tony Rawlinson looking out of the window, probably contemplating the magnitude of his work to come. 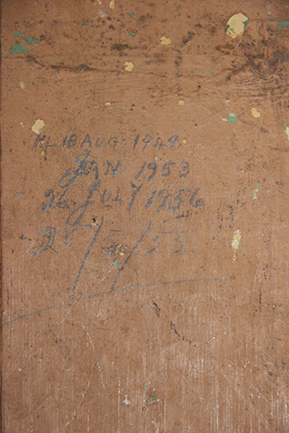 He is also seen inside the office looking at graffiti on the wall, which helpfully dates itself as between 1949 and 1956. These pieces of original history will be photographed to preserve them for future reference.